Darren Clare is Portfolio’s main inspiration as Creative Director. Born and bred in Bolton, Darren set up the agency in 1995, and has been the heart and soul of the business ever since. His creative abilities have gained recognition, and via recommendation started the many longstanding relationships we still have with many public and private sector clients on a national and European level. Outside of the studio, Darren loves life to the full. 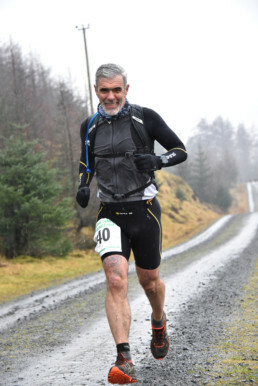 A multi-Iron Man finisher, competitive triathlete and now with his new found love of ultra running having completed the ‘Hell of a Hill’ Marathon, a gruelling 5 marathons in 5 days, we’ve no idea what his next challenge will be. So whether he’s running o’er t’moors, clocking up miles on his bike or diving into sub-zero waters at Salford Quays, his energy is something we all aspire to have.